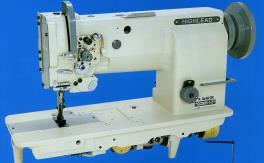 High speed, single needle, long arm (30") sewing machine with built-in servo motor. Perfect for shades, drapes, etc. 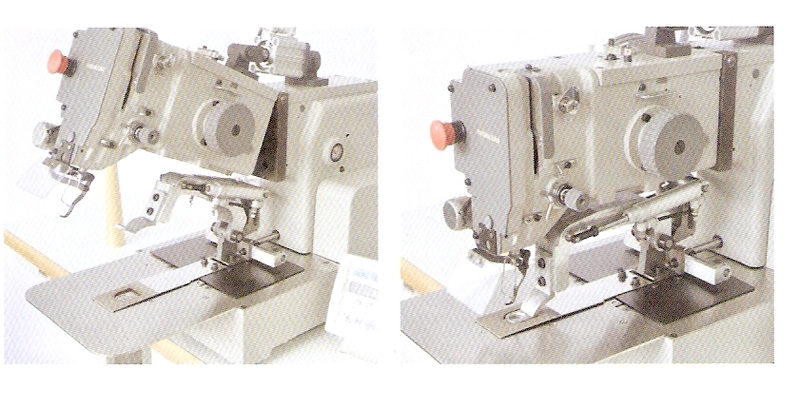 Model HLK-03(F) is a small field electronic pattern tacker specifically designed for sewing upholstered cushions. 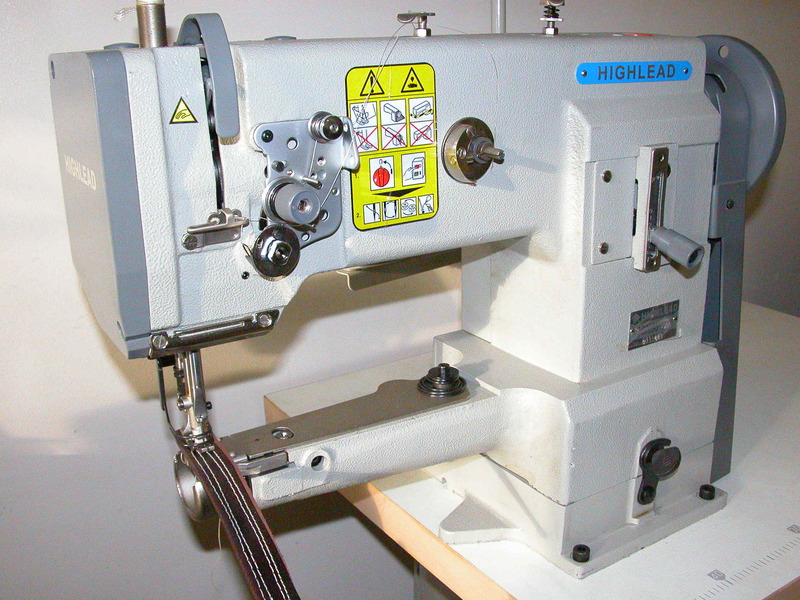 The front of the machine head is hinged so it can be lifted to allow placement of a cushion of up to 90mm thickness. 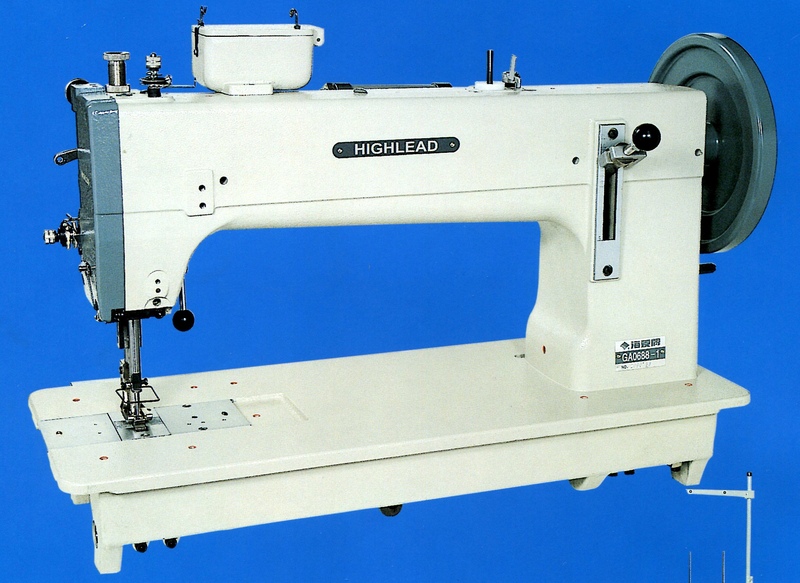 The head then presses down the cushion to allow for sewing. 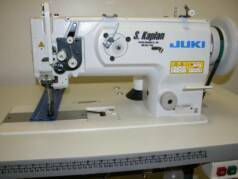 Used for edge skiving and beveling on shoes, bags, belts and other leather items. With fortuna-type knife, shoe and plate. 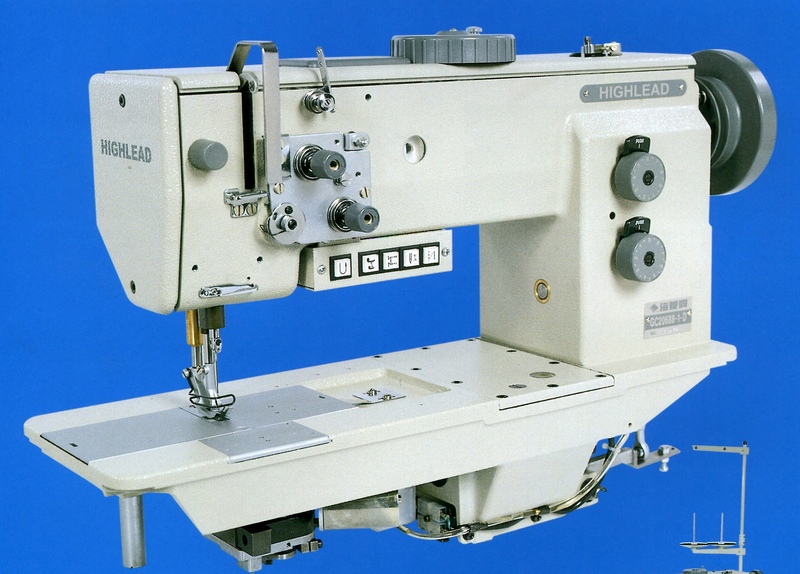 Available in three thread for serging, four thread (mock safety stitch) and five thread (safety stitch) models. 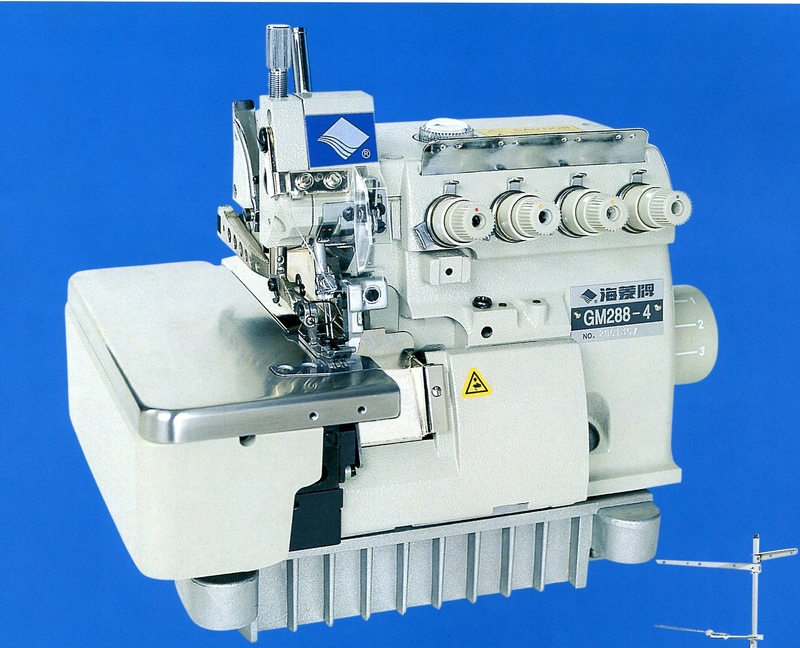 6.5mm presser foot lift, 4mm overlock stitch width, 7mm overall width for safety stitch. 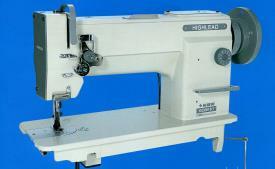 Powerful extra heavy duty single needle walking foot with oscillating shuttle hook. 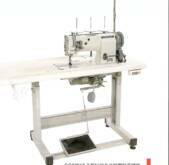 Available mounted off table for ease in sewing cylindrical and other difficult to feed items. Good for nylon webbing products, and harness. 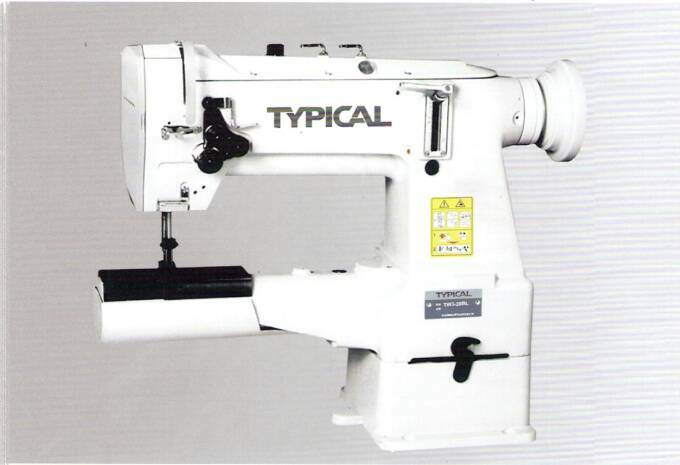 20" presser foot lift. 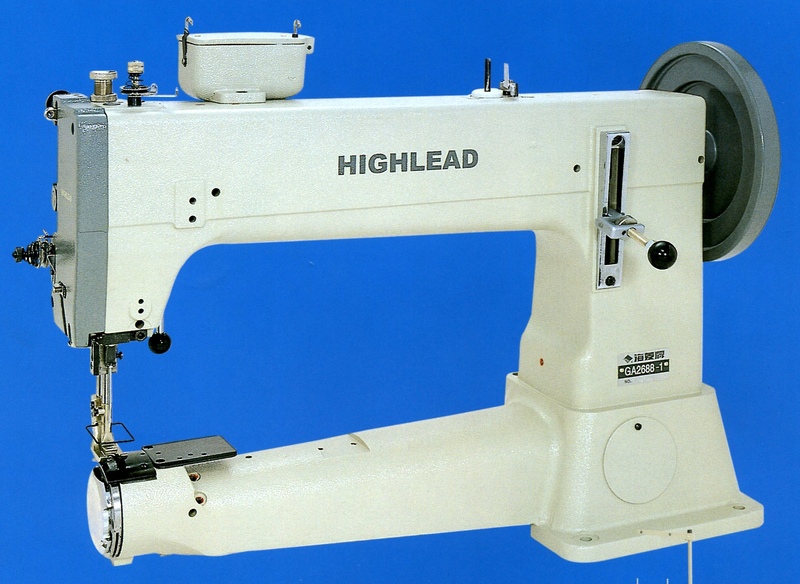 Two needle, large bobbin cylinder bed walking foot with reverse. For filter bags, luggage, cushions, sporting goods, etc. 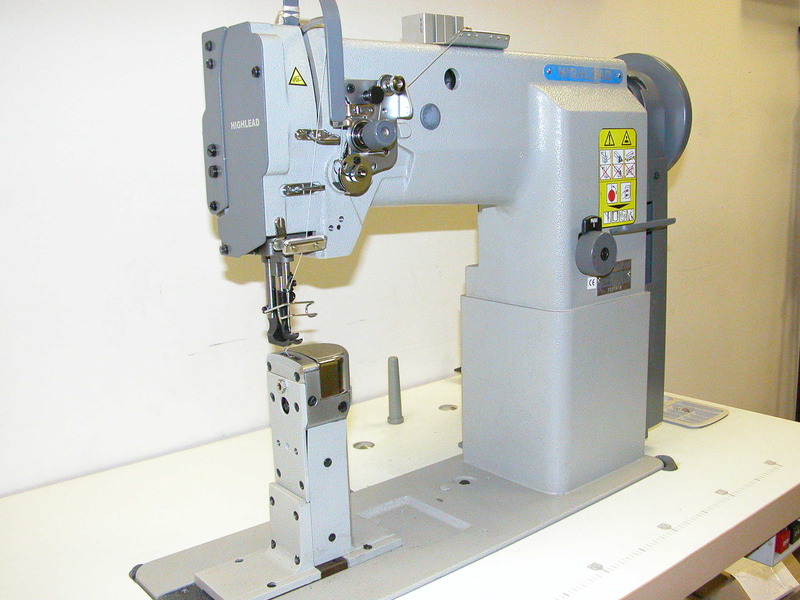 Single needle, small cylinder, walking foot machine with large bobbin and reverse feed. For bags, cases, leather work, shoes. 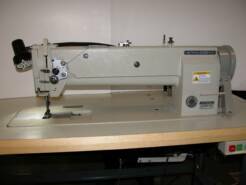 Model GC2698-1B available with synchronized binder.